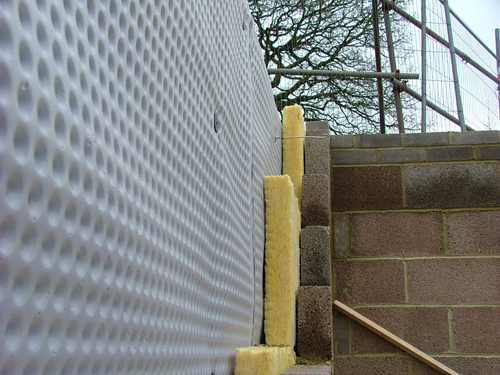 What is BS 8102 and how does it affect basement waterproofing? What is BS 8102? Well, if you’re dealing with a reputable basement waterproofing specialist, it’s a name that you’re likely to hear often. It is essentially a document that outlines best practice when planning a basement waterproofing scheme, advising the designer on the various methods of waterproofing available and the correct way to ‘specify’ them for contractors, ensuring a successful and long-lasting installation. Contractors are not legally bound by British Standards such as BS 8102 but, should there be a failure in the system due to shortcomings in the design, this is the ‘code of practice’ that would probably be referred to in any litigation proceedings. The document was updated in 2009 from a previous version written in 1990, to reflect the popularity in residential basement conversions, an increase in deep urban constructions, and numerous advances in basement waterproofing technology. It also takes a more detailed look at the risks involved with below-ground spaces and how best to mitigate them in practice. The main goal behind BS 8102 is to guide designers in assessing the potential risk of water ingress to a below-ground structure and identify the most appropriate and adequate ways to safeguard against it. 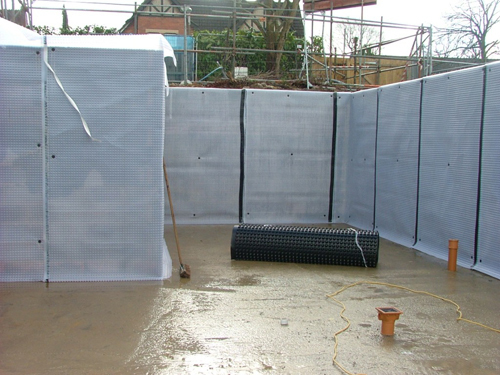 It identifies three types of protection – A, B and C – aimed at achieving different internal environments, suited to different uses of the underground space (for more information on the three types of protection, download the National House Building Council’s guide to basements and waterproofing). 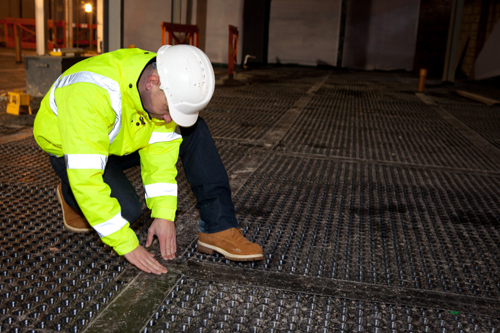 The level of waterproofing required can vary depending on the intended use for the underground space. There are two main threats to the effectiveness of a basement waterproofing system, namely poor workmanship and/or defects caused by using materials that are inadequate for the job. BS 8102 outlines ways to negate such issues within the design scheme, and incorporate opportunities for simple remedial measures in the unlikely event that a defect still occurs. geology and hydrogeology, including soil permeability, flood risk, radon, methane and other gases and contaminates present in the ground (e.g. chlorides and acids) – follow this link for our article on the risks of radon in basement conversions. BS 8102 recommends that both a risk assessment and desk study are carried out to inform the likely threats of water ingress to an underground space. Taking account of the considerations above, the designer will be in a position to specify the most appropriate basement waterproofing system to achieve the required internal environment type. With any below-ground structure, however, there is always an increased risk of water ingress in exceptional circumstances, such as a burst water main or – increasingly often – a flash flood and, therefore, we would recommend that such ‘worst case’ scenarios are accounted for in any plans. A successful waterproofing design should result in a system that can withstand a pre-determined head of water, or control the water before it reaches the structure. BS 8102 recommends that any basement waterproofing system is capable of protecting against the most unexpected occurrences, such as flash floods and burst water mains. 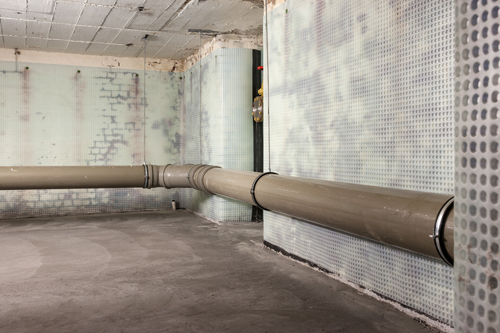 The purpose of BS 8102 is to direct designers in making decisions that will result in successful basement waterproofing systems, capable of withstanding even the worst circumstances of water pressure and presence in the surrounding area. Should anything go wrong down the line, the system should allow for simple remedial measures that make minimal demands on time and money. It is a code of practice that holds benefits for designers, specifiers, contractors and homeowners and we, at the BWA, wholeheartedly recommend that customers deal exclusively with companies that uphold its directions.